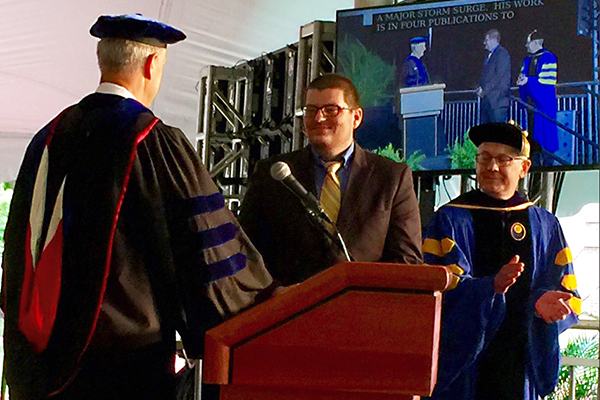 Alfred Lerner College of Business and Economics doctoral graduate Jacob Fooks has been awarded the 2015 George Herbert Ryden Prize in Social Sciences, presented annually by the University of Delaware’s Office of Graduate and Professional Education for the outstanding dissertation in the field. His dissertation, titled “Essays on Computational Methods in Land and Resource Economics,” included several essays on the theme of applying computational models from the natural sciences methods to several problems in economic valuation and regulation. CBEAR Fellow, jacob fooks. Bookmark.